Planning to visit Paradigm Mall in Johor Bahru? 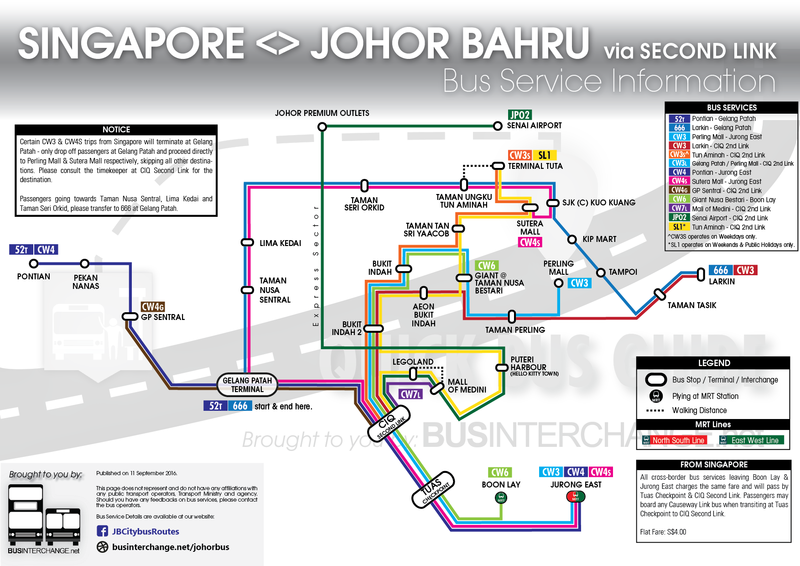 Public transport in Johor Bahru could take you conveniently to Paradigm Mall. Below are the tips on how to get there! Public bus routes connecting to various towns are available just outside Paradigm Mall. Unlike the new IKEA Tebrau, free shuttle bus services are not available at Paradigm Mall JB. In this article, we will focus on getting to Paradigm Mall from the main bus terminals at Larkin and JB Sentral by bus. Getting to Paradigm Mall by bus is very easy, as all of the bus routes will eventually ply along the same route, regardless of whether is it from Larkin or JB Sentral. All of the bus routes listed above are operated by various bus companies and ply along the same route from JB Sentral to Paradigm Mall. With so many bus routes, waiting time to get on a bus to Paradigm Mall should not be long. Fare: Around RM2.10, please consult the driver onboard for exact fare. Change may be provided onboard buses operated by S&S (Bus route S&S 7 or Senai route), City Bus (Bus routes 15 & 331) and Kembara City (Bus route 606). Please provide exact fare when boarding Causeway Link (Bus routes 1B, 5B, 7B, 777B, BET1, BET3 & JPO1) buses. Alighting: When you see KIP Mart on the left, you may start to prepare yourself to alight and press the bell just as you see the Paradigm Mall at the opposite side of the road. The bus will stop opposite Paradigm Mall, where an overhead bridge is built for access to the mall. *Bas Muafakat Johor P211 & P411 are free bus services only available to holders of Kad Muafakat Johor. ^JPO1 will only call at Larkin Bus Terminal at 0920hrs daily. 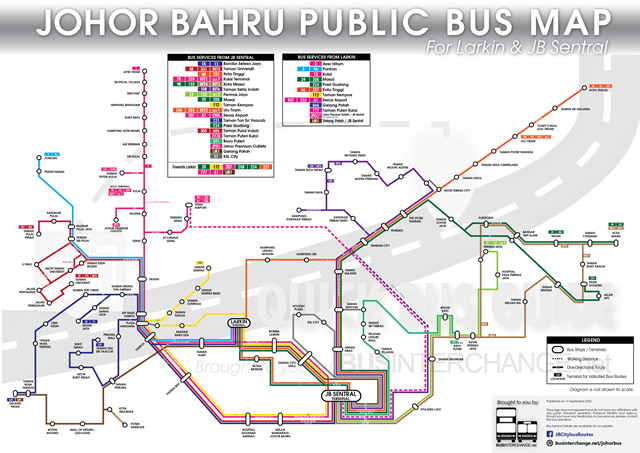 Likewise for boarding a bus to Paradigm Mall, all of the bus routes listed above are operated by various bus companies and ply along the same route from Larkin to Paradigm Mall. With so many bus routes, waiting time to get on a bus to Paradigm Mall should not be long. Fare: Around RM2.20, please consult the driver onboard for exact fare. Change may be provided onboard buses operated by City Bus (Bus routes 2) and JB Central Line (Bus route A1). Please provide exact fare when boarding Causeway Link (Bus routes 333, 666, 777, 888 & JPO1) buses. The new mall will certainly attract many Singaporeans here! 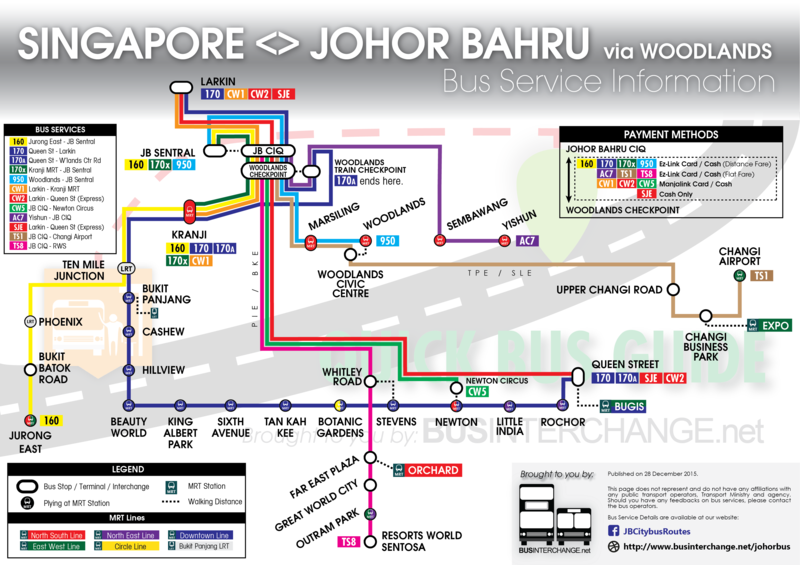 Direct public bus services are generally not available from Singapore to Paradigm Mall JB. Passengers are recommended to enter Johor Bahru via Woodlands Checkpoint, and walk to JB Sentral bus terminal to take public transport to Paradigm Mall. Please refer to the directions provided as above for details. Accessing Paradigm Mall using the public transport from JB Sentral (within walking from JB CIQ) will be most convenient, when compared to using the Second Link (Tuas). Tour agency "Take Me To Malaysia" has been operating direct bus service from Singapore to Paradigm Mall JB periodically to cater for the seasonal demand. Bus services are operated from Ang Mo Kio, Bishan and Punggol on Saturdays, and Khatib, Yishun, Sembawang, Admiralty and Woodlands on Sundays. The same fare is applied on all direct bus services from Singapore to Paradigm Mall. Passenger pick-up point at Khatib MRT Station, along Yishun Ave 2 (Access from MRT station Exit A). The pick-up point is located after bus stop 59041, Bef Khatib Stn. Passenger pick-up point opposite Woodlands MRT Station, at Woodlands Square (Adjacent to Woodlands Ave 7). The pick-up point is located opposite the taxi stand at Woodlands MRT. Tickets purchased are inclusive of the return journey to Singapore, departing Paradigm Mall at 1900hrs.